Truck 1 description to come soon. 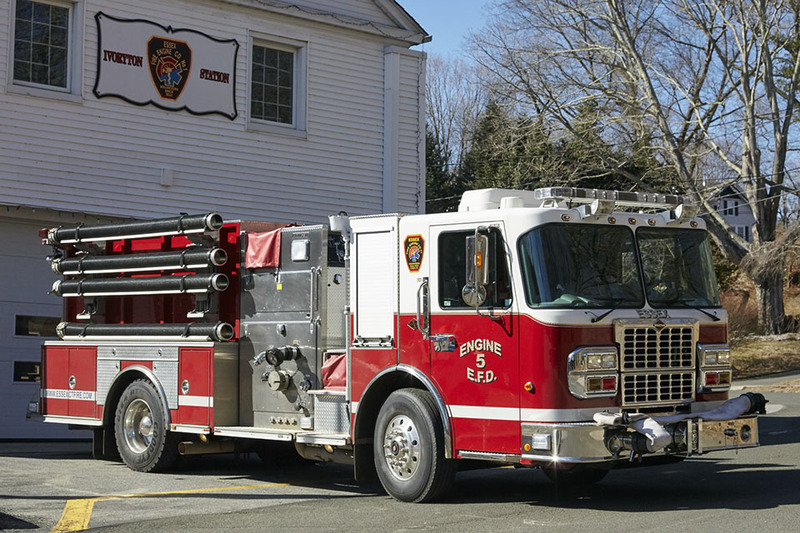 Engine 6 is a 2016 Pierce Enforcer and is located in our Saybrook Road station. It is equipped to carry 5 Firefighters and 1 Operator. 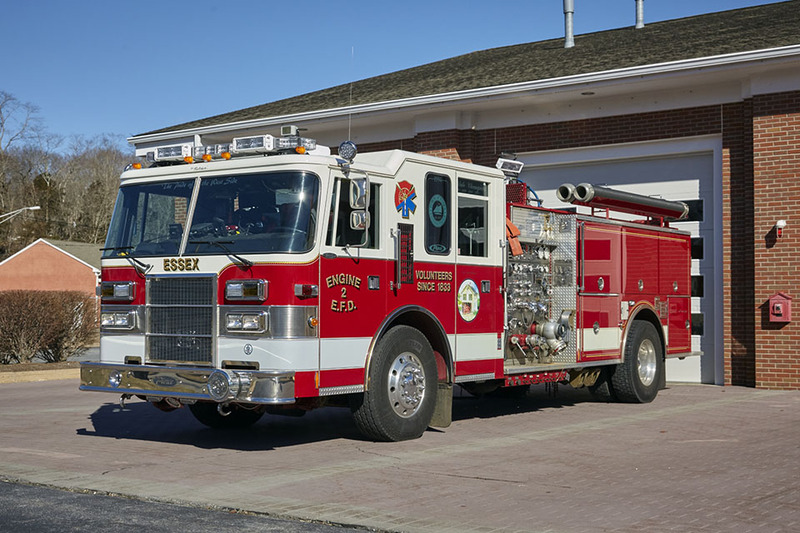 E6 is equipped with a 450 HP diesel engine, automatic transmission, 1,500 gpm pump, 700 gallon water tank and a Compressed Air Fire Fighting Foam System. 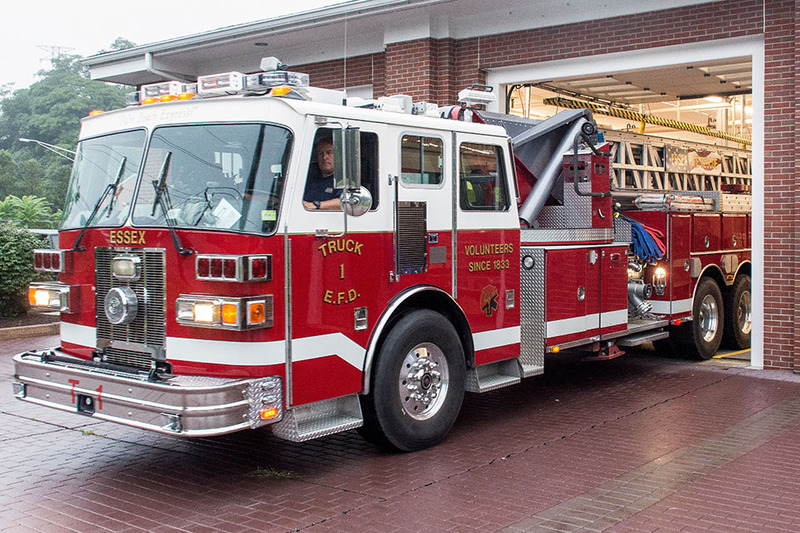 E6 carries 1,000’ of 5” large diameter supply hose, 250’ of 3” preconnected attack line with an attached high flow blitz fire nozzle, (2) 200’ 2” preconnected attack lines and (1) 200’ 2.5” pre-connected attack line. All attack lines are Compressed Air Foam capable. E6 is also equipped with hydraulic rescue spreaders and cutters along with extensive vehicle stabilization equipment including a 9,000 lb. rated electric winch. A 10kW hydraulically driven generator is on board to provide emergency scene lighting and power. Engine 7 is an identical “twin” of its sister Engine 6. E7 is located in our Summit Street station in Ivoryton. 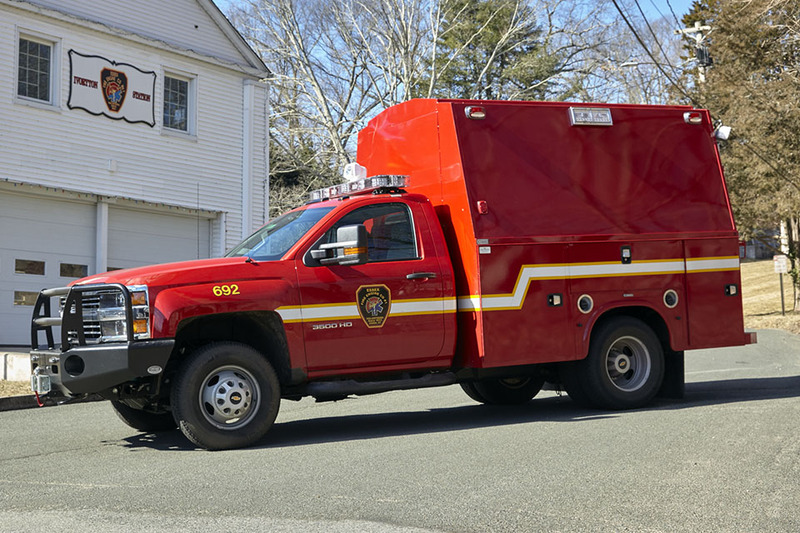 Engine 2, known as the “Pride of the West Side” because of the many years it resided in our Ivoryton station, is now located in our Saybrook Road station. 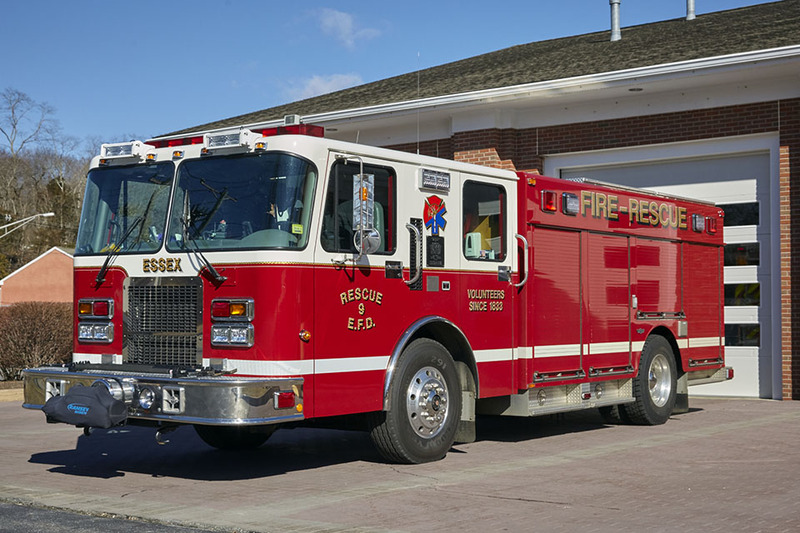 E2 is a 1994 Pierce Dash with a 750 gallon water tank, 1500 gpm pump and a Hale CAFS (compressed air foam system). It also has 25 gallon class A and class B foam reservoirs. A more detailed description will follow soon. Engine 5 is located in our Summit Street station in Ivoryton. A detailed description will follow soon. 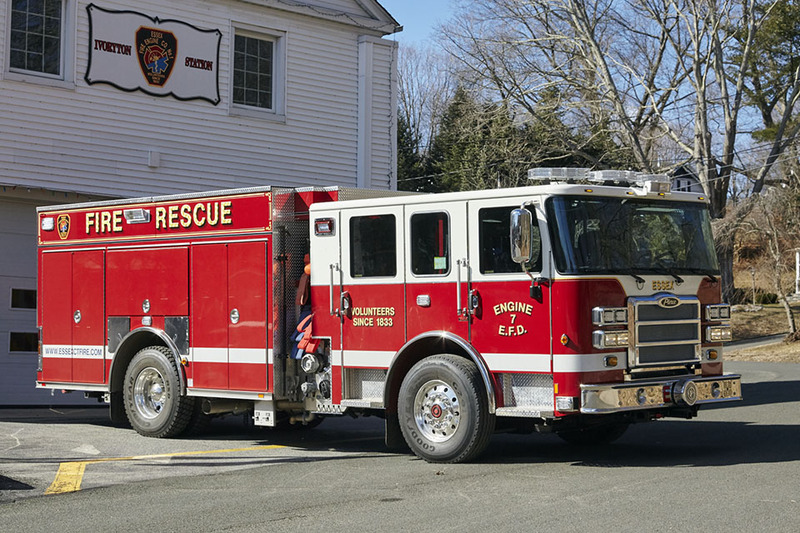 Heavy Rescue 6-9 is a 1999 Spartan cab and chassis with an SVI box. A more detailed description will follow soon. 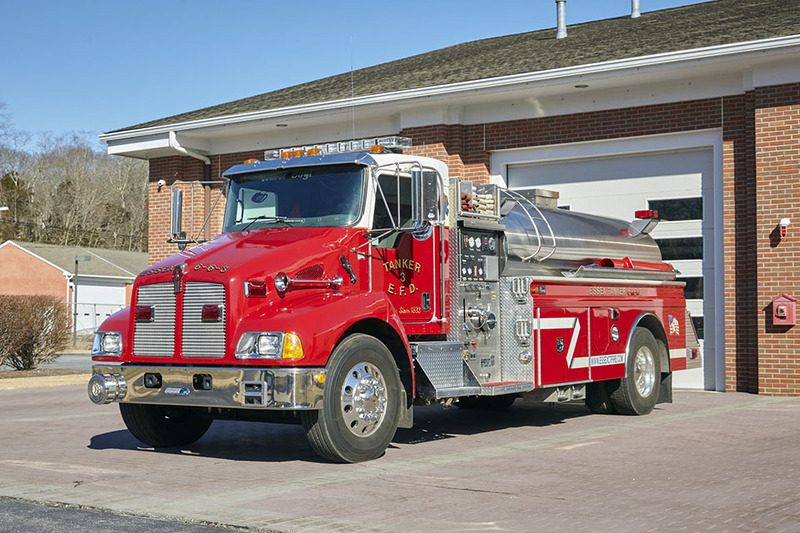 Tanker 6-6-3 is a 2004 Kenworth cab and chassis with a 4Guys body. It has an 1800 gallon polly tank and 500 gpm pump. A more detailed description will follow soon. Rescue 6-9-1 is a 2003 Chevy Suburban 2500 equipped with a custom built Odyssey EMS cabinet for responding to medical calls. 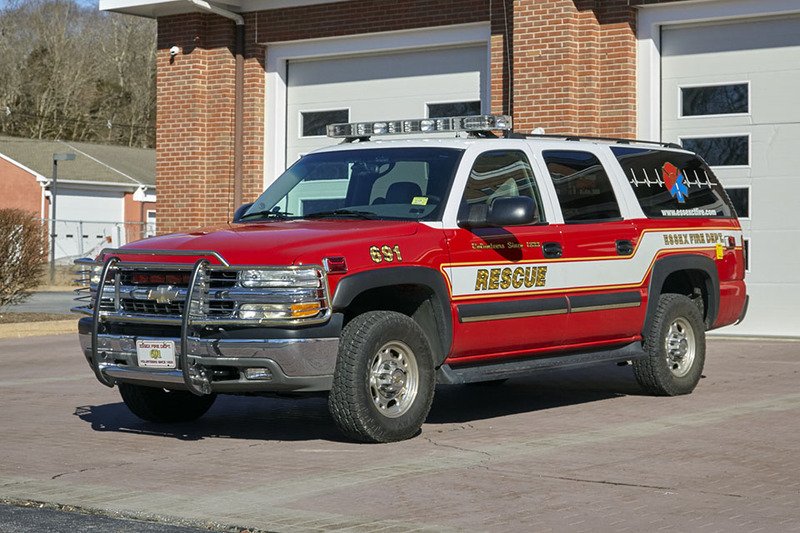 Rescue 6-9-2 resides in our Ivoryton station. Like 6-9-1, it is equipped with medical response gear. Additionally, it carries cold water and ice rescue equipment. 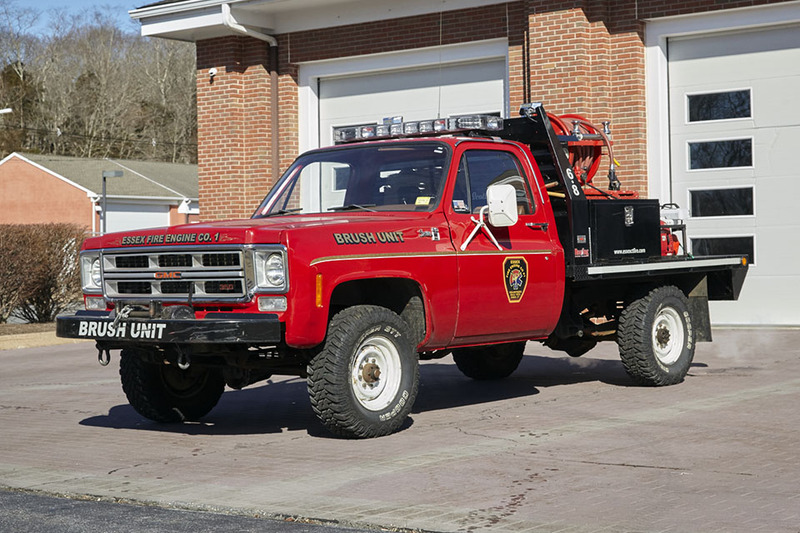 Brush truck 6-8 is a 1975 GMC Sierra 25. 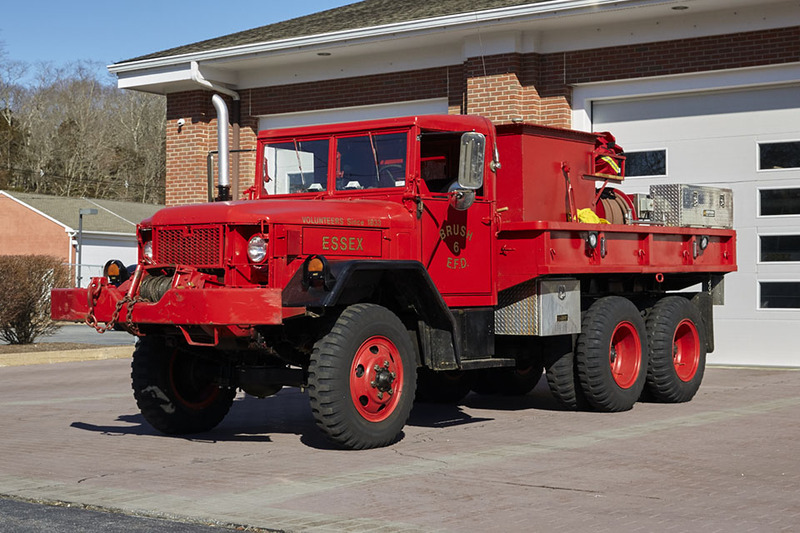 Brush truck 6-8-6 is a military issued 2 1/2 ton truck. 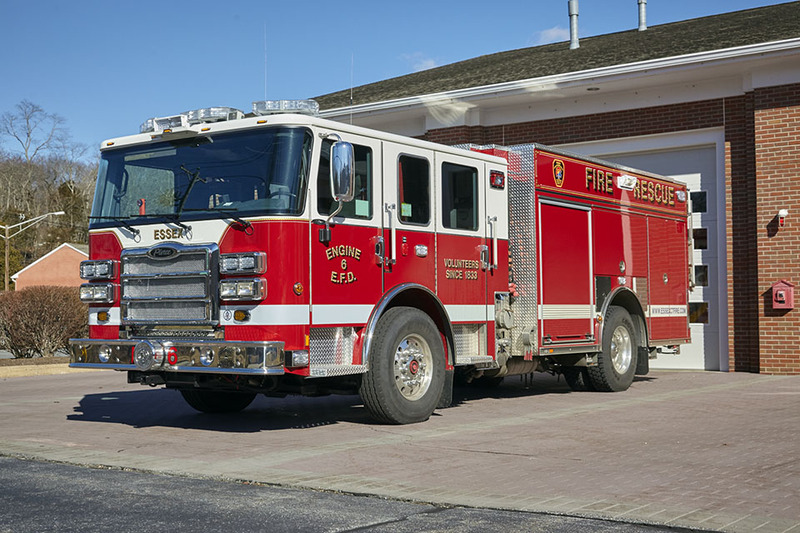 This vehicle has been outfitted with a 680 gallon water tank and 250 gpm pump, 2 booster reels and 1 3/4″ speed lay. 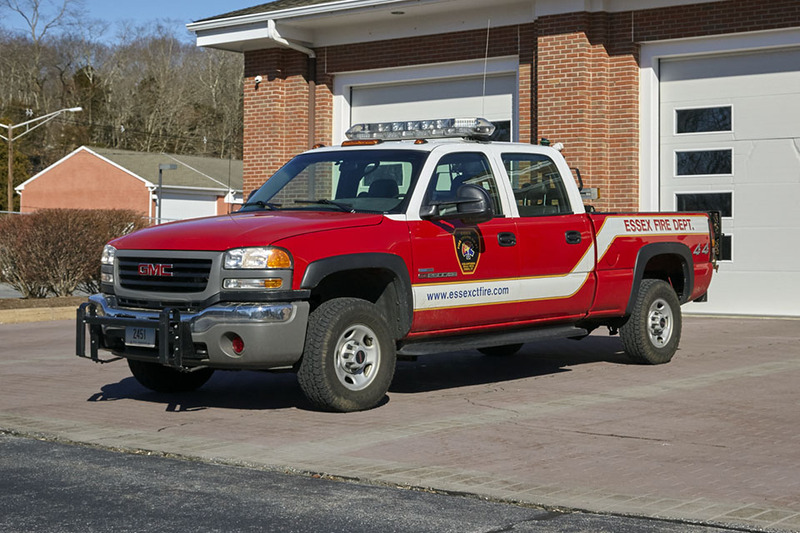 Utility truck 6-3-1 is a 2005 GMC 2500HD with a Duramax Diesel and Allison 6-speed transmission. 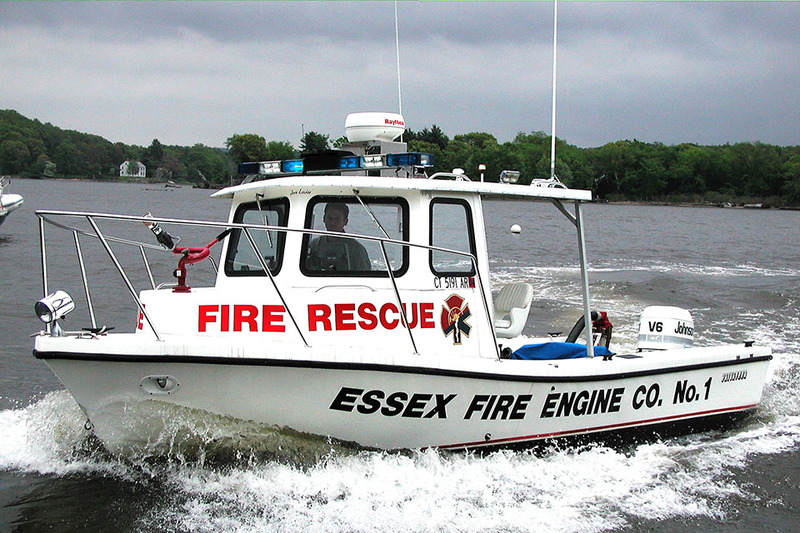 A detailed description of our fire boat will be coming soon. 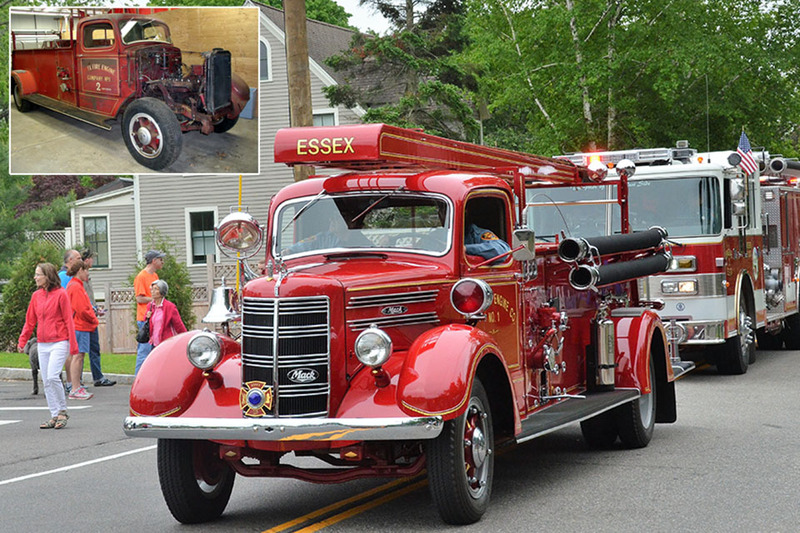 Our 1941 Mack was meticulously restored in an all-volunteer project led by firefighter Jim Danks (RIP). We proudly display “Old Engine 2” for parades and other special occasions.